Cinco Puntos Press, 9781941026526, 208pp. Cash and Sheriff Wheaton make for a strange partnership. He pulled her from her mother's wrecked car when she was three. He's kept an eye out for her ever since. It's a tough place to live--northern Minnesota along the Red River. Cash navigated through foster homes, and at thirteen was working farms. She's tough as nails--Five feet two inches, blue jeans, blue jean jacket, smokes Marlboros, drinks Bud Longnecks. Makes her living driving truck. Playing pool on the side. Wheaton is big lawman type. Maybe Scandinavian stock, but darker skin than most. He wants her to take hold of her life. Get into Junior College. So there they are, staring at the dead Indian lying in the field. Soon Cash was dreaming the dead man's cheap house on the Red Lake Reservation, mother and kids waiting. She has that kind of power. That's the place to start looking. There's a long and dangerous way to go to find the men who killed him. Plus there's Jim, the married white guy. And Longbraids, the Indian guy headed for Minneapolis to join the American Indian Movement. Marcie R. Rendon is an enrolled member of the White Earth Anishinabe Nation. She is a mother, grandmother, writer, and performance artist. A recipient of the Loft's Inroads Writers of Color Award for Native Americans, she studied under Anishinabe author Jim Northrup. Her first children's book is Pow Wow Summer (Minnesota Historical Society Press, 2014). 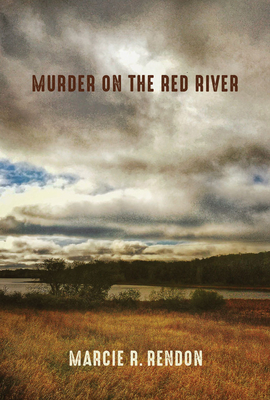 Murder on the Red River is her debut novel. Marcie R. Rendon is an enrolled member of the White Earth Anishinabe Nation. She is a mother, grandmother, writer, and sometimes performance artist. A former recipient of the Loft's Inroads Writers of Color Award for Native Americans, she studied poetry under Anishinabe author Jim Northrup. Her first children's book, Pow Wow Summer was reprinted by the Minnesota Historical Society Press in 2014. Cash is her first mystery.